A regular short class for anyone who wants to try meditation, or come to a led meditation session from time to time - these sessions used to be known as A Taste of Meditation. No need to book, just turn up a few minutes before - we start on time! . 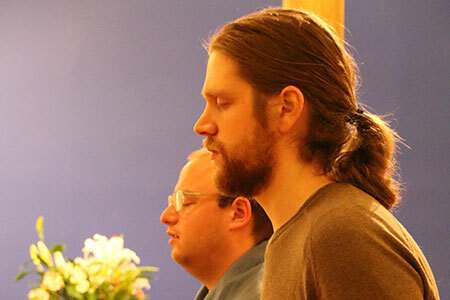 The sessions give an idea of what our longer meditation courses cover and are suitable for total beginners, but they are also an opportunity to meditate in a led group, and you are very welcome to come just once or as often as you like. They run every weekday lunchtime, Monday to Friday, as well as on Tuesdays, Wednesdays and Thursdays in the early evening. You don't need to bring anything apart from yourself or wear anything special, but you might want some socks as we take our shoes off in the meditation halls.